Nivea is one of Lil Wayne's baby's mothers, who is now in a relationship and has a child with recording artist Dream. Toya Wright is another ex of Lil Wayne's who responded to questions about Wayne dating Christina Milian, ex-girlfriend to Dream. It seems a like a tangled web, and she agrees. I’ve heard of people on reality shows such as the Bachelor swapping spouses, but I didn’t realize it was so prevalent in the rap community. "It's a hot mess, if you want my honest opinion. That's just too much. I just don't think that's cool. It's too many other women out there to date your son's mother ex-husband's girl. It's just too much.” That situation is confusing and difficult as well as a heck of lot to explain to your kids, so it is understandable that Nivea would be upset. Although Toya has no plans to address Wayne on the topic, she expressed that she believes that Milian and Wayne are more than friends, although that is contrary to what they claim. 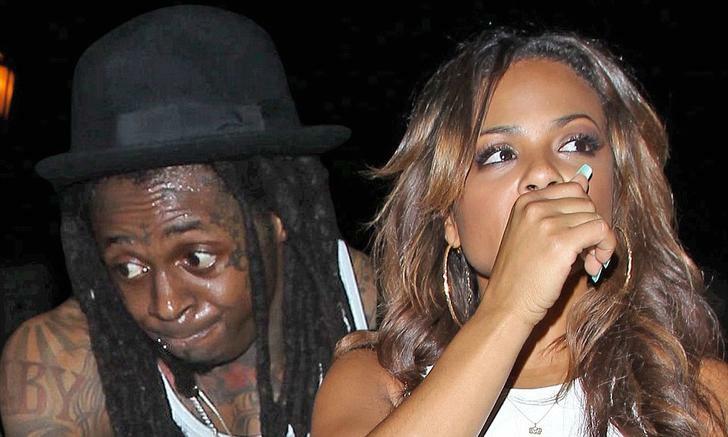 For months, Wayne and Milian have been holding hands, wearing matching shoes, and making music--Milian claims they are just friends and only making music. No one else seems to buy that, and a few have gone so far as to call it a 'hot mess'. Sounds complicated, but somehow they are all one big happy family. The exes have moved on and they get along for the purpose of making sure their children have healthy relationships with their siblings. Christina Milian also came out with a new reality show about her family and their love lives and careers. Although Little Wayne is never actually present on the show there is definitely some talk of him and it is obvious in Milian’s facial expressions whenever she speaks about Wayne her entire face lights up. You can deny all you want, you too, but we know the truth!